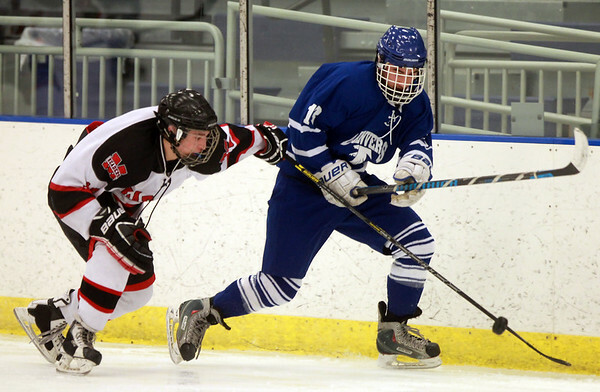 Danvers forward Kyle Cahill (13) tries to settle a bouncing puck while being hassled by Marblehead junior Duncan Leggett (10) at the Rockett Arena at Salem State University on Saturday afternoon. DAVID LE/Staff photo. 1/17/15.